Focus on the debate, vote, and participants, not the process that enables decisions. 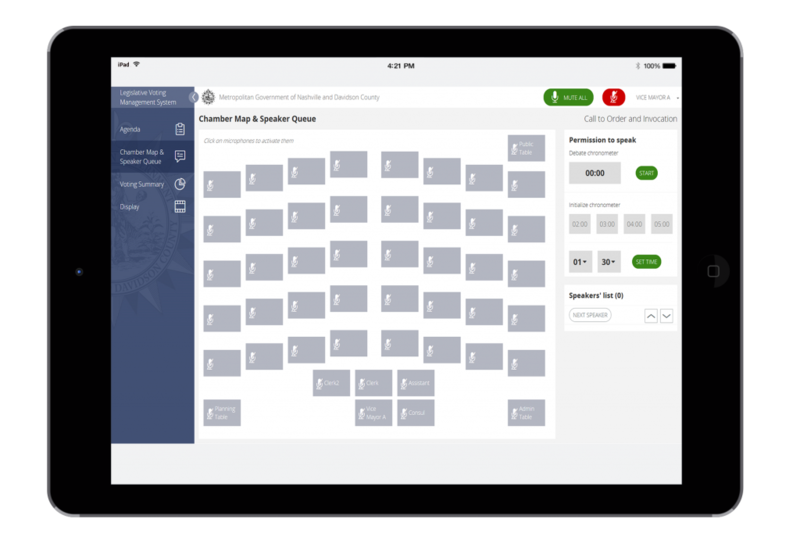 Make legislative decisions with modern digital meeting management and tablet based voting through one central, flexible program that integrates with existing hardware and software. Integrate with your current agenda management solution, using automated workflows for document and agenda approval. Display agenda items, track and manage requests to speak, edit agenda on the fly. Device-agnostic call for, vote, and track votes, and archive voting records. Engage the public - live stream meeting video, display votes and vote tally, publish meeting minutes and voting records. We are one of the largest city councils in the country. Scytl shares our goal to make Metro Nashville legislative meetings a streamlined, paperless process. Their team is solution-driven, efficient, and customer focused. Amazing partner. Prepare, run, and close out meetings. Track requests to speak, manage speaking time and participant microphones. Manage online voting, vote records, and meeting minutes. Enable location and device-agnostic legislative participation. Integrates with existing hardware, software, databases, and assistive technology. Flexible set up and configuration for your legislative rules. Give users the ability to drill-down into the granular details for each vote. One central platform to streamline meeting preparation, management, and communication. 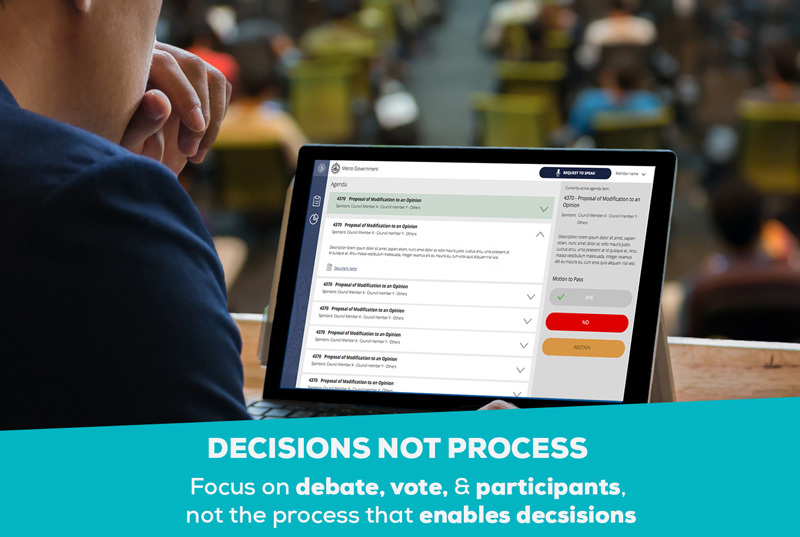 Enable decisions – focus on the debate, vote, and participants. Reduce common errors through automation. Increase legislative mobility, allowing participation anywhere in the room, using portable devices. Scalable technology ensures coverage during critical periods. Client support on-call 24/7, and monitoring during legislative meetings. Better public access to local government information and decisions. Scytl Voter Education allows accurate and easy to update communication with constituents before, during, and after important community events. Learn more about Voter Education. Scytl has provided Legislative Session Management in the United States since 2015, with more than 3000 hours of legislative meetings per year.